Will Christie Whitman Follow Her 9/11 Apology With One for Her Nuke Shill Game? oon after the 9/11 terror attacks 15 years ago today, then-US EPA administrator Christine Todd Whitman assured New Yorkers the air was safe to breathe. Today she has issued a “heartfelt” apology, admitting that her misleading advice caused people to die. But will she also apologize for pushing lethal atomic reactor technologies that could kill far more people than 9/11? The Environmental Protection Agency itself later said there was insufficient data to offer such assurances. The 9/11/2001 collapse of the World Trade Towers and the nearby Building 7, along with the attack on the Pentagon, coated lower Manhattan and other downwind areas with huge quantities of toxic dust. Among the components of the deadly cloud were asbestos, mercury, lead, glass, heavy metals, concrete, and countless other poisons from vaporized windows, computers, carpets, structural steel, and much much more. Clearly anyone breathing the dust that spread throughout the region was at risk. But the Bush administration had other interests. Among them was reopening Wall Street and the stock exchange. Bush himself showed up at the site without a respirator, as did then-New York mayor Rudy Giuliani. School children were brought back into the area far sooner than was safe, as were thousands of residents and workers. To unofficial observers, the administration’s assurances were cavalier and irresponsible. “Bush, Rudy & Whitman to New Yorkers: Drop Dead,” read one angry blog in the Huffington Post. Whitman’s apology has not been met with universal applause. “I don’t believe her for one second,” said John Feal to the NY Daily News. As executive director of the FealGood Foundation, a first responders’ advocacy group, Feal is pushing the Zadroga Bill, meant to ensure health coverage for Ground Zero sufferers. A former GOP governor of New Jersey, Whitman has since signed on as a paid advocate for atomic energy. This June, she co-wrote an op ed asking for massive subsidiesto keep money-losing nukes in Illinois online. Whitman has co-chaired the Clean and Safe Energy Coalition (CASEnergy), funded by the Nuclear Energy Institute, an industry PR front. Apparently her deceptions after 9/11 have not yet caught up with her at the dying reactors whose increasingly dangerous operations she advocates. The nuke industry’s primary focus now is to get public handouts to keep open the 100 decrepit, money-losing reactors still operating in the US. The ones backed by Whitman in Illinois were designed in the 1960s, and are dangerously embrittled. The entire US fleet is aging and increasingly subject to catastrophe. A new reactor recently opened in Tennessee has already suffered two shutdowns. All reactors emit massive quantities of wastewater and steam, which heat the planet. They generate thousands of tons of spent fuel that cannot be managed. And they regularly emit radiation that kills and maims entire downwind populations, as did 9/11. It’s only a matter of time before another commercial nuke explodes, like the one Soviet reactor at Chernobyl and the four US-designed GE reactors at Fukushima. The question for Christine Todd Whitman is this: when the next reactor blows up, will you again apologize for your inexcusable role in it, as you’ve now done for your inexcusable cover-up of the health impacts at 9/11? And if you do, who will care? inally, the major for-profit media is approaching consensus that it’s easy to hack U.S. political elections. Even candidates Hillary Clinton and Donald Trump are raising unprecedented doubts – from very different directions – about the reliability of the upcoming vote count. 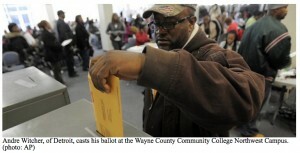 The security (or lack thereof) of various voting machines types. New York’s “liberal” Governor Andrew Cuomo is trying to ram through a complex backdoor bailout package worth up to $11 billion to keep at least four dangerously decrepit nuclear reactors operating. To many proponents of safe energy, the move comes as a shock. Its outcome will have monumental consequences for nuclear power and the future of our energy supply. For years, Governor Cuomo has made a public show of working to shut down two Entergy-owned reactors at Indian Point, thirty-five miles north of Manhattan. He and New York Attorney General Eric Schneiderman have fought Entergy in court, trying to stop operations. They warn that the reactors are too dangerous to run so close to New York City, which cannot be evacuated in case of a major accident. More than ten million people live within a fifty-mile radius of Indian Point, whose two operating reactors opened in the 1970s. Entergy is now trying to get the Nuclear Regulatory Commission to extend the expired operating licenses for the two plants, Indian Point Two and Three. (Indian Point Unit One was shut in October 1974 due to its lack of an Emergency Core Cooling System). Cuomo claims he still wants to close Indian Point Two and Three. Like most aging reactors, they have been continually plagued with leaks, mechanical failures, structural collapse, and unplanned shutdowns. Recent revelations of major problems with critical bolts within Indian Point’s core structure, and tritium leaks into the broader environment, have deepened public opposition. The national and local groups fighting to shut Indian Point, some for decades, include Riverkeepers, Clearwater, the Indian Point Safe Energy Coalition, the Nuclear Information & Resource Service, Beyond Nuclear, Friends of the Earth, and many more. But now Cuomo wants to earmark more than $7 billion in public money, for starters, to keep four upstate nuclear reactors on line. One is the Ginna reactor, near Rochester; the other three—FitzPatrick, Nine Mile Point One, and Nine Mile Point Two—occupy a single site on Lake Ontario. Fitzpatrick is owned by Entergy. The rest are owned by Exelon, the nation’s largest nuclear power owner/operator. All four reactors are in various stages of advanced deterioration and were slated for permanent closure. Without massive public subsidies, none can compete with natural gas or with wind and solar, which are rapidly dropping in price. Entergy announced last fall that economic factors would force it to shut Fitzpatrick in January 2017. Exelon told the New York Public Service Commission that it would probably shut Nine Mile 1 and Ginna next year as well. Environmentalists hailed the announcements. The aging U.S. fleet now involves about 100 reactors, down from a maximum of about 130, and 900 fewer than the 1,000 Richard Nixon predicted in 1974. Many of them, like Ginna, are well over forty years old. Many are known to be leaking various radioactive substances, most commonly tritium, as at Indian Point. Major leaks have also recently been revealed at FitzPatrick. Structural problems like Indian Point’s missing bolts and a crumbling shield building at Ohio’s Davis-Besse are rampant. The deal’s arcane terms involve a transfer of Fitzpatrick from Entergy to Exelon. 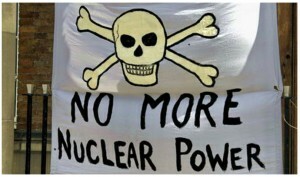 The handouts from the public to the nuclear industry would be spread over more than a decade. Ironically, they could, under certain circumstances, also be used to keep open the two reactors at Indian Point. Cuomo has made much of “saving” some 2,000 reactor jobs jobs in a depressed region where unemployment is rampant. But Stanford economist Mark Jacobson has shown that the billions spent to keep the reactors open could create tens of thousands of jobs throughout the state if spent on pursuing wind and solar energy and increased efficiency. Those sources could provide New York with far more energy at a much cheaper rate, without the long-term safety, ecological, and public health problems caused by the aging reactors. Cuomo has also cited former climate expert James Hanson, claiming the prolonged nuke operations will not emit carbon. But the pro-nukers ignore the four reactors’ huge hot water and steam releases. U.S. reactors each dump some 800 million to 1.25 billion gallons of hot water and steam into the environment every day, a major source of global warming. The estimate for the daily emissions at California’s double-reactor plant at Diablo Canyon is about 2.5 billion gallons of hot water per day. Only about one-third of the energy U.S. reactors produce actually makes it onto the grid in the form of useable electricity. About ten percent of that is then lost in transmission. Nuke operators throughout the United States are watching to see if New York’s proposed subsidies will keep set a precedent for states to jump in and keep money-losing reactors operating as they crumble. Exelon has lost a fight for billions in Illinois. 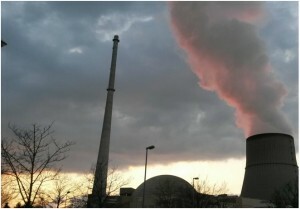 Environmental, consumer, and even competing utilities are fighting huge bailout demands from FirstEnergy for its Davis-Besse reactor near Toledo. At the turn of the twenty-first century, the industry fought for deregulation, arguing that its reactors would do well in a “free market economy.” But in the process it demanded (and got) about $100 billion in public handouts for “stranded costs” that it argued were unfairly imposed on its massively inefficient technology. Meanwhile, there are some positive signs. In California, a turning-point deal has been cut at Diablo Canyon with the state, Pacific Gas & Electric, the plant’s unions and major environmental groups to shut the two huge reactors in about nine years, when their licenses expire. In the meantime, the utility will shift almost entirely to carbon-free wind and solar, and will “retain and retrain” the bulk of the plant’s workers. California’s anti-nuke community worries that the nine years left for Diablo to operate are too much. The two reactors sit on or near a dozen earthquake faults, and are just forty-five miles from the San Andreas, half the distance Fukushima was from the epicenter of the quake that destroyed it. But the deal marks the first time a nuclear utility has admitted that all the power from its reactors can come instead from renewables. And it’s the first major phase-out plan to allow for a transition for both the plant’s workers and the nearby communities, which will lose a substantial tax base when the reactors close. With such developments as a backdrop, the New York fight could be a serious turning point in nuke power’s last battle. The reaction among New York anti-nuke groups to Cuomo’s handout has been fierce. The battle heads back to the PSC in the form of public comment, and then into the courts. Opponents are buoyed by the growing success of the state’s solar industry. As the interests tied to Solartopian technologies expand, their opposition to bailouts like this escalates. Harvey Wasserman, a co-founder of the global “No Nukes” movement, has been writing forThe Progressive (where this article is cross-posted) since 1967. He is author of Solartopia! Our Green-Powered Earth, and edits www.nukefree.org.